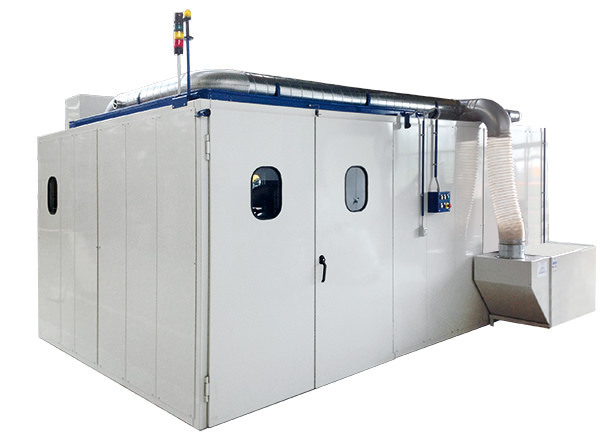 Vibrochimica is specialized in designing and manufacturing soundproofing systems reducing the noise emitted by mass finishing machines. The quality of the materials employed, their thickness, the construction type and the finishing of the equipment guarantee the production of a high-efficiency product, which is very appreciated on the market. All systems are supplied complete of safety devices according to law, protections, safety end switch, ventilation, lighting.